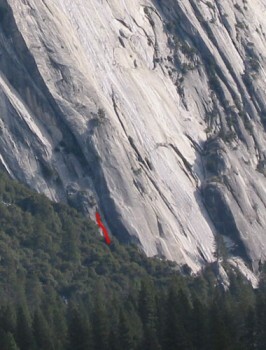 This sustained and demanding steep face climb is relatively well-protected. Two ropes are needed to toprope. It is also possible to rappel left of Trial by Fire and set a toprope from a tree on Peter’s Out, a cool 5.12 thin crack on the slab. Which SuperTopo guidebooks include a topo for Demimonde?